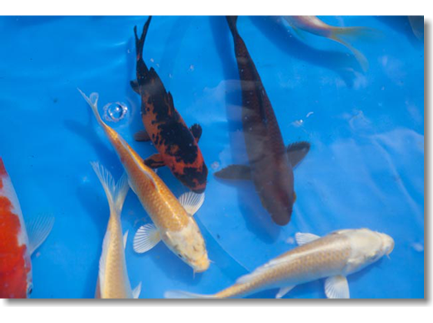 We raise Koi (standard and select), Goldfish, and Plecostomus at our farm in Port Allen, La. 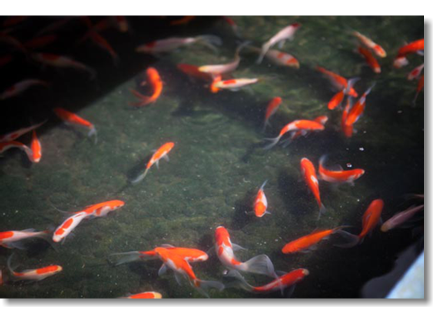 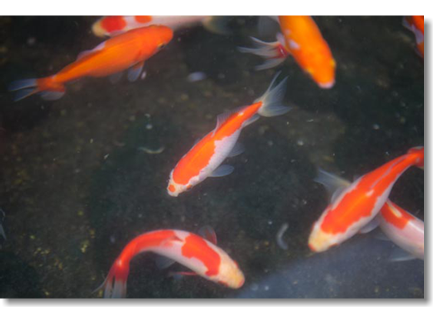 Our fish are available in a wide variety of qualities and sizes, from 2" Goldfish to 30"+ Koi. 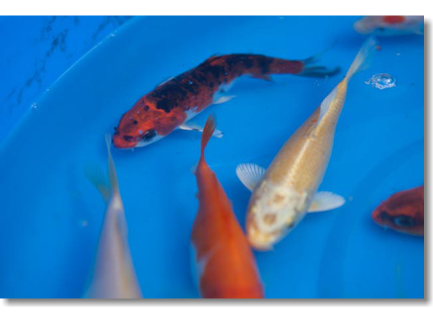 We have stock for any budget or purpose. 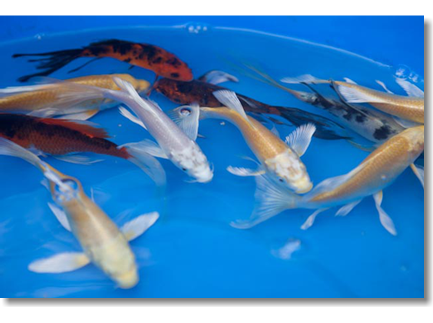 We offer wholesale pricing for documented resellers. 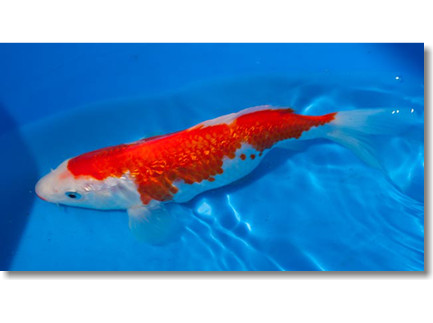 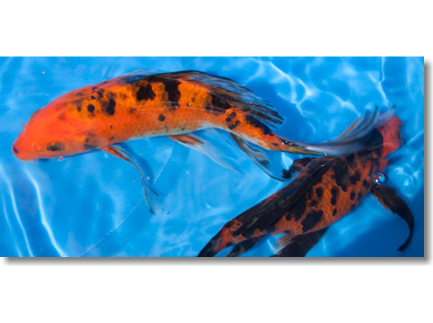 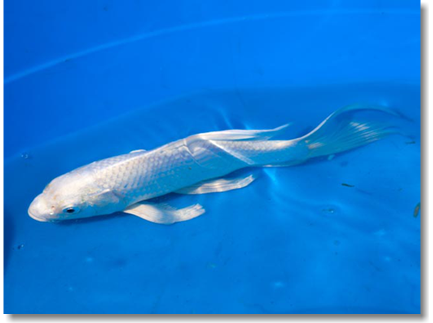 Our standard-fin and long-fin (butterfly) Koi are available in a standard grade or select grade. 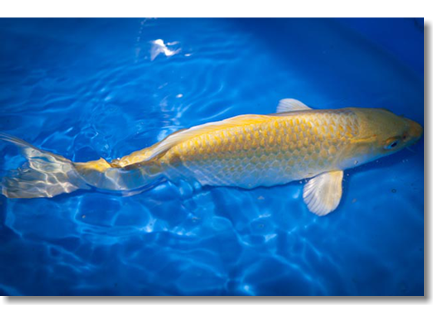 The pricing listed below on select-grade fish is minimum pricing. 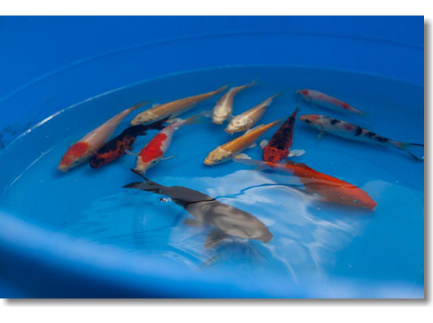 Select-grade fish will be priced individually. 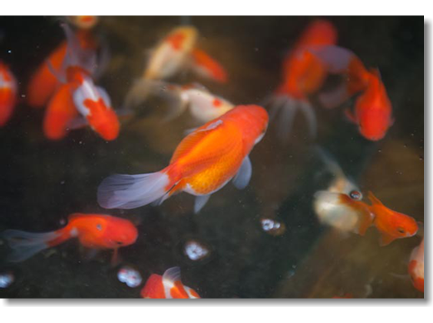 Our Goldfish are available in standard varieties and exotic varieties. 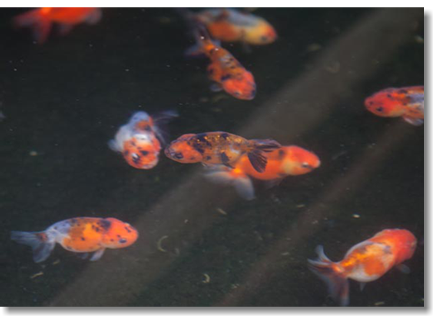 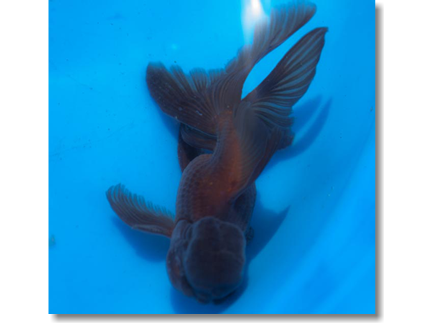 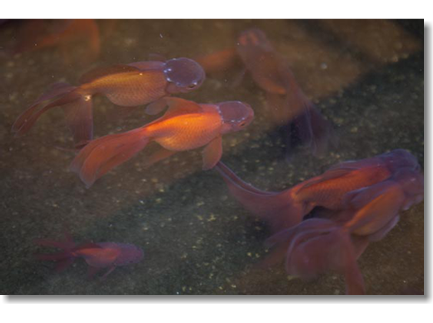 Show quality examples of our Goldfish are available at various times and will be priced individually. 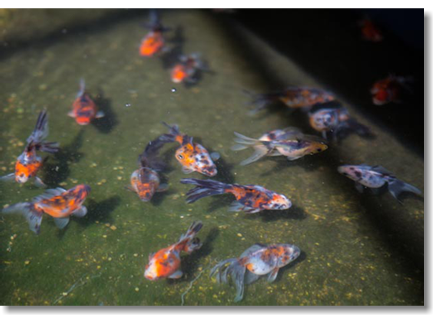 Plecostomus are available in a standard variety for the purpose of helping keep ponds clear of excessive attached algae. 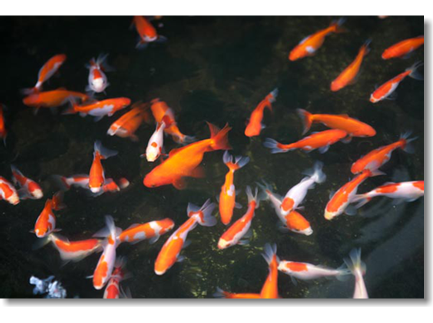 Contact us at 225-343-4002 or via email for more information. 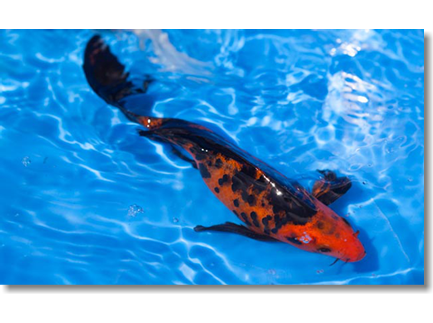 Standard grade Koi are those which may or may not fit into one of the recognized varieties, but will provide nice color for a pond. 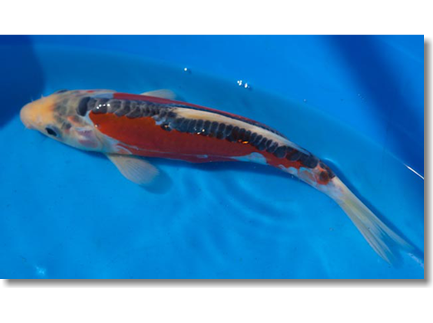 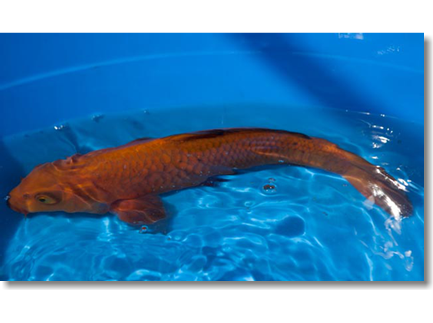 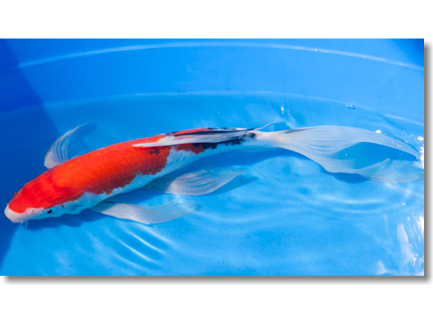 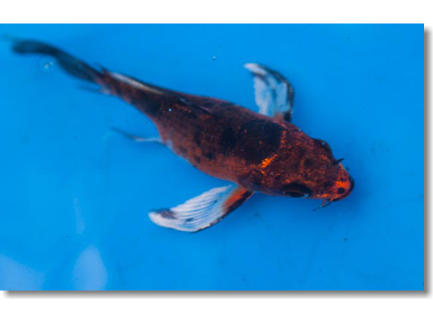 We also stock long fin, or Butterfly Koi, in the standard variety. 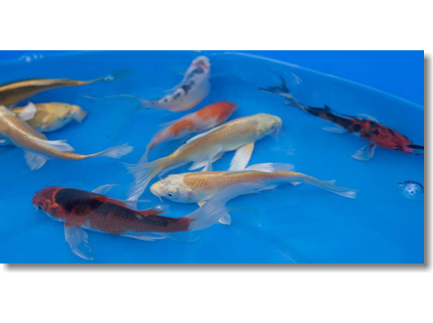 Select grade fish can range from a reasonable example of the variety to show quality fish.The pricing listed is minimum pricing. 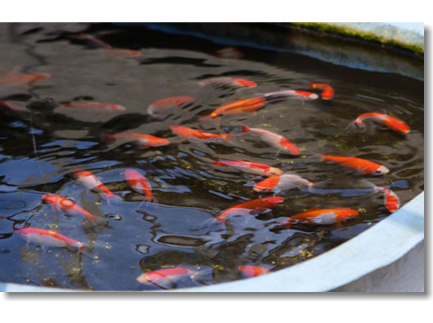 Individual fish may be priced higher. 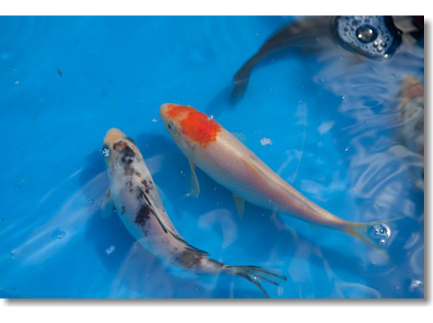 Select grade Koi are those which typically fit into one of the recognized varieties (kohaku, showa, sanke, etc.) 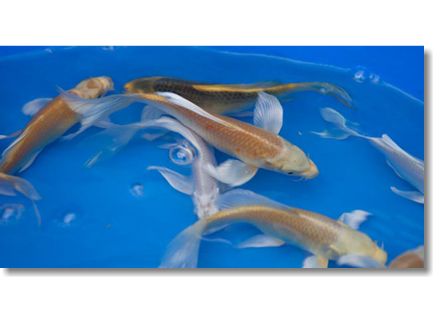 or they can be fish that are very unusual but do not necessarily fit into one of the recognized varieties. 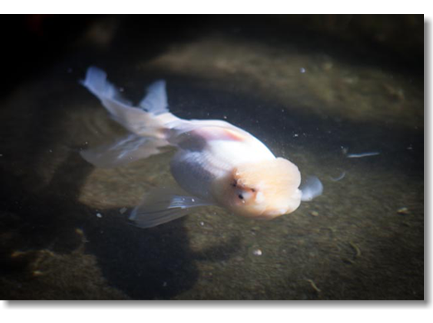 Exotic varieties are those that are more unusual and difficult to breed, such as blue orandas, chocolate orandas, red and white orandas, bubble-eyes, telescope-eyes. 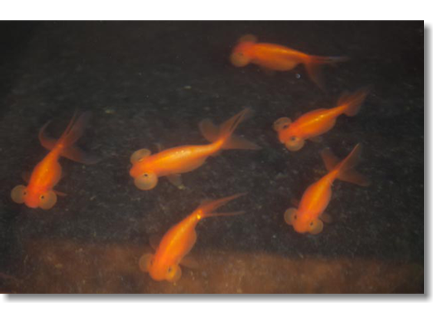 and panda orandas. 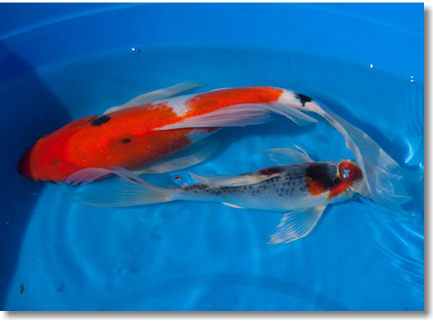 Standard varieties are those that are more common, such as red fantails (ryukins), comets, and red orandas. 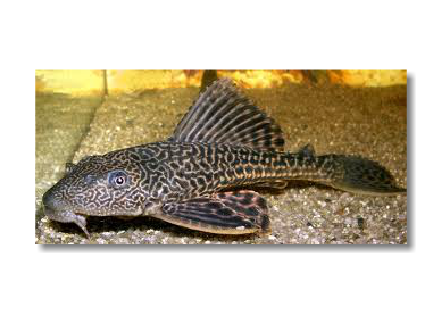 Much like our other stock, Plecostomus are sold by the inch and are typically available from 6 inches to 20 inches. 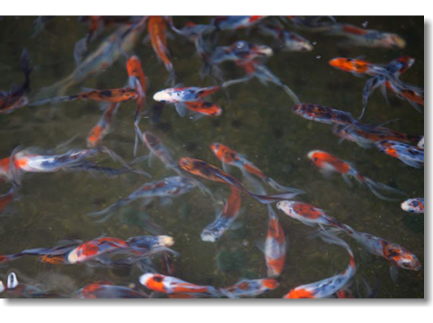 The pricing typically runs $2.00/inch.